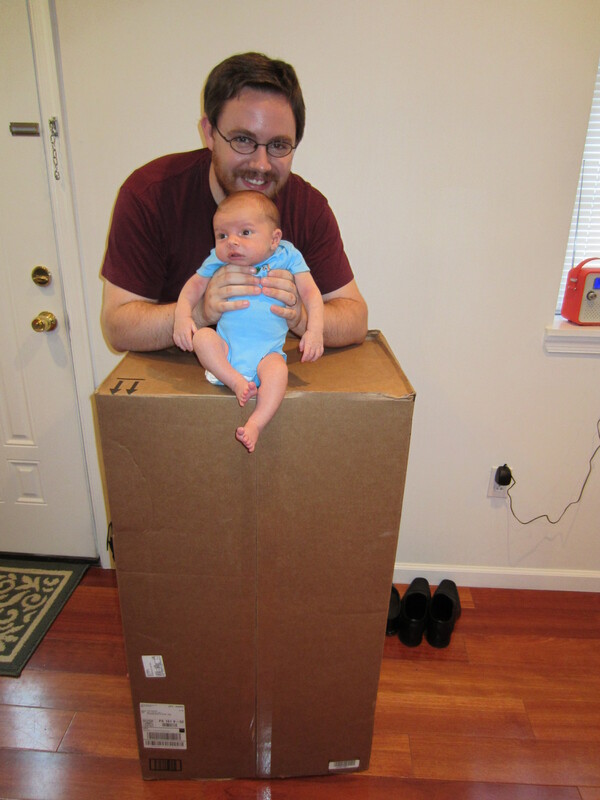 Baby vs. bountiful box of diapers. Recently Dave and I have been talking a lot about our finances, particularly as we work toward buying our first home. Our tastes are by no means extravagant, but it can be frustrating or discouraging when it looks like we won’t be able to afford, say, a decent place in a walkable, transit-accessible neighborhood. But every time I am tempted to bemoan where our finances fall short, I stop. I always have plenty of food to eat. I have clothing and even a washer/dryer. I live in a nice, clean, furnished apartment in a safe neighborhood. I have access to heat, water, gas, Internet, and quality health care. I live in a country with a stable government and the rule of law. I have stuff–and stuff to contain my stuff. I have Tupperware to hold my leftover food. I have shelves to organize my books, my food, my scrapbook supplies. I have a scarf organizer, for goodness’ sake. Frankly, sometimes I can barely stand how comfortable my lifestyle is. I’m not complaining, of course–like Tevye said, money is the world’s curse, and if the Lord smites me with it, that’s fine. I’m just grasping for a healthy approach to enjoying what I’ve been given while also doing what I can to help others with less.